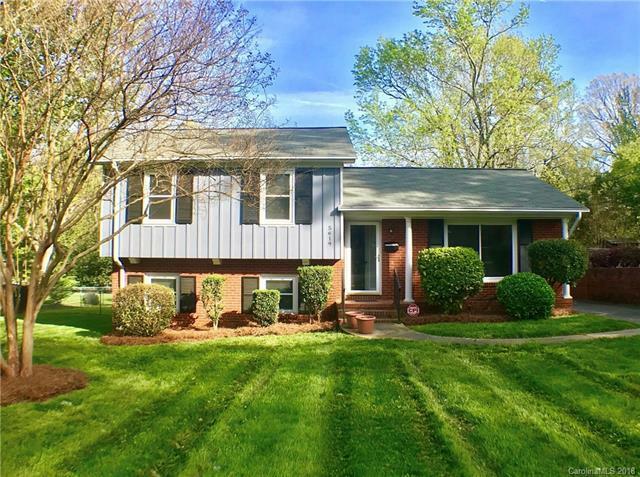 This charming split level home is located on a quiet street at the border of Myers Park and Montclaire neighborhood, close to Southend, Park Rd, I485 and light rail. Luscious, spacious front lawn welcomes you at the first sight. The refinished gleaming hardwood floor covers upper floor and the main living room which adjoins to the spacious kitchen updated with refaced cabinets. Upstairs has 3 good size bedrooms and fully remodeled bathroom with ceramic tub and modern cabinets. Fully renovated lower level has brand new luxury vinyl planking floor installed in family room and another bedroom coupled with remodeled full bath perfect for guest suite. The house has many other updates including new double pane energy efficient windows that will save your utility costs all year round. Myers Park HS assigned for 2018. Sold by Colberg & Associates Llc.